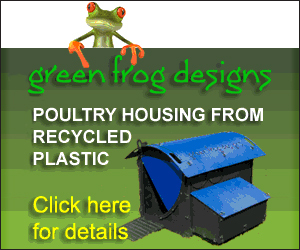 Home » » Features » So you want to be a farm vet? If you do it’ll probably have been a long-term ambition. Veterinary work isn’t really something you just fall into when you leave sixth form. Animals will almost certainly have played a big part in your life in some way or another but it’s probably fair to say that a career in veterinary practice is more of a calling than a career choice. With the help of Steven Van Winden, of the world renowned Royal Veterinary College, we examine how to take steps to fulfill your career aspirations. Veterinary practice is a multi-faceted career choice. A passion for animals and their welfare is a prerequisite but you will also need to be creative, with a problem solving mind set, to cope effectively with the different scenarios involving patients, owners and environments that you will face every day. Combine this with common sense, good communication and organisational skills, empathy and compassion and you are getting close. These last two being especially important in the smallholding environment where hobby farmers may become more emotionally attached to their animals than large-scale commercial farmers. Of course there are also educational criteria to meet too and currently AAA/AAB at A levels including an A for biology and chemistry is the current requirement. Other equivalent combinations of qualifications are considered but a high level understanding of biology and chemistry are a consistent requirement. In addition the Royal Veterinary College (and Cambridge) require applicants to undertake the Biomedical Admissions Test (BMAT) which is is designed to evaluate the data handling and reasoning skills of candidates – results of this will be used to filter candidates for interview later in the process. You will also be expected to have had a minimum of four weeks work experience, two in a veterinary practice and two in another relevant animal environment (livery yard, farm, kennel, etc). Note: These requirements do change all the time, so you will need to check before applying. 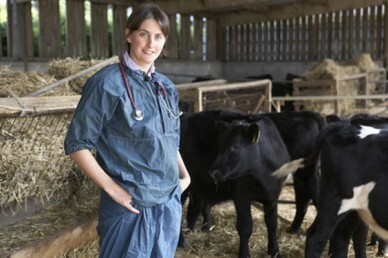 To ensure that the selection process is as inclusive as possible there is also an opportunity for less academically focused candidates, who meet certain criteria, to earn a BVetMed place by successfully completing the Veterinary Gateway Programme – similar to an access year for other degree courses. More information can be found here. Interviewees that have a mixed background of extracurricular activities such as sport, social involvement, charity work or other work experience tend to do well as this demonstrates the drive and determination that will be an important factor in the ability to complete the course. Finally, a good understanding of scientific English is essential to comprehension of the course so applicants who’s first language is not English should also have a qualification equivalent to IELTS 7.0 or higher. The standard BVetMed course is five years; however, some may choose to take a gap year to obtain a BSc increasing it to six while others may have a qualifying degree at entry which will reduce the course to 4 years. Tuition fees are currently £9,000 per year meaning course fees alone will be £45,000. Living expenses and accommodation can add between £9,000 and £13,000 per year so you can see there is a considerable financial commitment to consider here. This shouldn’t be a defining factor in your decision though as repayment of student loans is structured so that you only ever pay back 9% of your earnings over £21,000 – so £90 a year if you earn £22,000 and so on. This article by Martin Lewis demystifies the student loan scheme by putting it into perspective – you may be pleasantly surprised. The first two years of the programme will be spent honing your understanding of basic veterinary science and animal handling techniques. You will attend lectures and practical classes in the laboratory and on the farm and gain hands on experience in real life situations such as lambing, dairy and pig farming and a four week stint with a species of your choice. The next two years will see you build your clinical skills through lectures and an increasing percentage of time practising what you have learned at the Clinical Skill Centre. You will also spend at least ten weeks in placements at a range of practices and agencies. The last year or so is spent gathering hands-on experience in working RVC clinics, undertaking a detailed research project and taking the opportunity to specialise in your particular areas of interest. Most graduates intend to work in mixed practice. For those who do choose farm only practice the prospects are currently quite good. The new curriculum is far better loaded towards farm animal medicine thank it was and there are plenty of opportunities to strengthen the farm experience within RVC through student exchanges with other vet schools. However, our local area is limited in the need for farm animal vets, with more focus on arable and equine, so if you particularly wanted to take this route you may need to look further afield. There are also other avenues that graduates can pursue with opportunities working for zoos, animal welfare societies such as the RSPCA and government agencies such as the Food Standards Agency or Animal Health and Veterinary Laboratories Agency among the options. You could also specialise in areas such as research or surgery. Pay can vary a lot depending on working hours, out of hour duties, provision of car and housing etc but you can expect to start on around £20-25,000 per annum. Progression can be rapid depending on training, specialisation and experience, but without using purely hypothetical situations it is difficult to plot an individual salary progression. However, a senior vet would expect to be earning in excess of £50,000 per annum and a practice partner or owner much more.